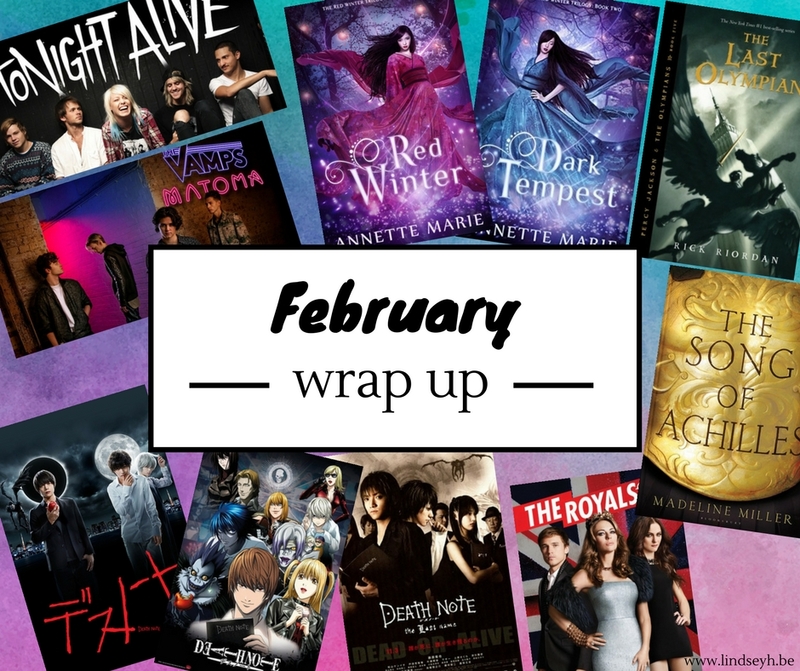 Hi and welcome to my February wrap up! February has been filled with many new obsessions. I don’t think I’ve ever read more in my life, I fell in love with a new fantasy book series on Japanese mythology, I got back into some Greek mythology fantasy books, I fell deeper into the black hole that is anime and I discovered some new (to me) music. But… it also caused a bit of a blogging slump and for that I’d like to apologize to my blogger friends. I’ve been so sucked into my new obsessions that I’ve been slacking on blogging. I haven’t felt like writing a lot of posts so I stuck with just the basic: Top Ten Tuesday posts and reviews. I’ve also been so behind on commenting. So… I’m really sorry! Here’s hoping March will be better on that front. 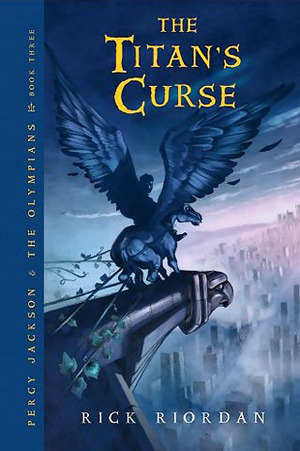 I’ve been continuing my Percy Jackson and the Olympians re-read and while I thought that I would read one book a month, once I was back into this world I just couldn’t let go. So I just… immediately binge re-read the entire series. I love The Titan’s Curse because it introduces Nico who is one of my favorite characters. This is the book I’ve forgotten the most of since my first read, but it all came back to me and it made me fall in love with Annabeth even more. Also, bring on the Percabeth feels! I knew this was epic, but I kind of forgot this book is basically just one big battle from start to finish… Still highly enjoyed it, the stakes were high and I felt on the edge of my seat for the entire book. So now I’m all ready to FINALLY start The Heroes of Olympus! 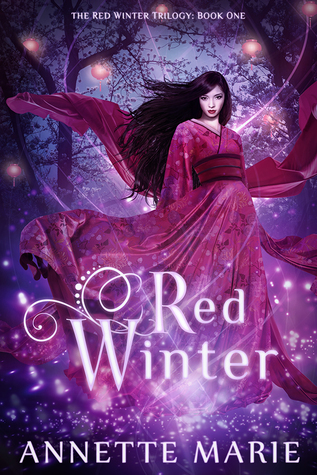 The sequel to Red Winter has all the things I already loved and somehow made them EVEN BETTER! 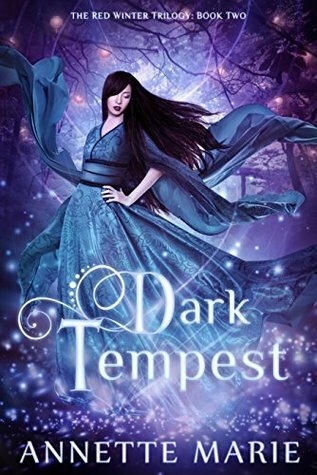 The mythology and worldbuilding get so much richer, the illustrations are even more gorgeous, I fell more deeply in love with the characters, the adventure gets more epic and the romance absolutely killed me! I must admit the hype kind of got to me for Caraval. I still loved big parts of it – the setting is so unique and magical, the plot is fast-paced and completely unpredictable, the writing is gorgeous and the sisterly bond between Scarlett and Tella was so sweet. But unfortunately I was a bit disappointed with the character development and the romance. For some insane reason I had the sudden urge to read a Christmas-themed book this month (I’m not usually a big fan of Christmassy things). 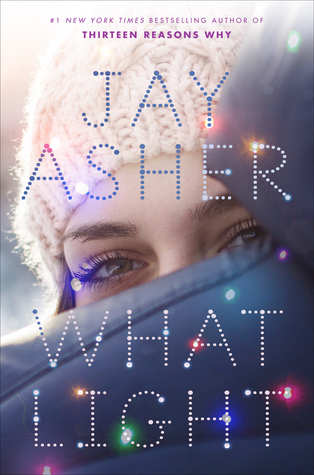 So I picked up What Light by Jay Asher and kind of read it in a day. It’s definitely a cute contemporary that is a fast read. But that was kind of it? It was a fun read but I didn’t think it was highly memorable either. Ok, I absolutely LOVE Kasie West! Her books are super cute and adorable and swoon-worthy. And while By Your Side was definitely all of those things, it was also still a bit disappointing. The whole trapped-in-a-library plot was just not as awesome as I made it out to be in my mind and the characters were a little one-dimensional. And the Red Queen series is back on track! 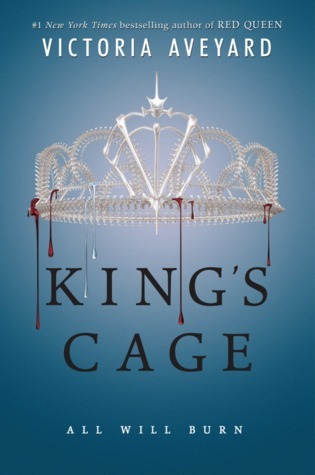 After a somewhat disappointing second installment, King’s Cage definitely reminded me why I love this series. Sure, it has its’ flaws but it is just such an intriguing, epic series that will sweep you into its’ pages before you know it. My heart is aching and I need book four now, though I have a sneaking suspicion that it’ll mess me up even more than King’s Cage did. (1) It is cute and fluffy and adorable and I am quite possibly in love with it and its’ characters. (2) It has a penpal romance and penpal romances are what I now crave most. Like chocolate. (3) It has made me want to use the verb ‘waffle’ in daily conversation from now on. First of all, I discovered a band called Tonight Alive. They’ve actually already been around for a while but hey, I know I’m always late to the party. Their song ‘The Edge’ was actually on the soundtrack of the last Spider-Man movie. Which is funny in itself because a friend of mine once described my music taste as ‘Spider-Man music’ (as in the kind of music that is likely to be on a Spider-Man soundtrack, or any kind of superhero movie soundtrack). Well, he hit the mark here because this band would definitely count as Spider-Man music and I love it! And then I discovered another band called The Vamps. They are a pop / pop-rock band that I maybe wouldn’t normally listen to, but I discovered them through their Shape of You Sing-Off with Conor Maynard and checked out the rest of their music. Their music is the kind of music that just puts a smile on my face and makes me want to dance and sing along. 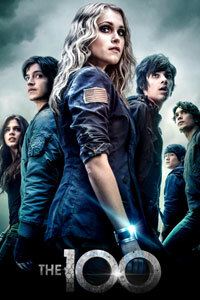 THE 100 IS BACK! This is probably one of my all-time favorite shows. I have loved every single season so far and I am eagerly awaiting every new episode each week. I’ve loved season 4 so far and I’m really curious to see how things will unfold. I’m also loving all the Bellarke scenes this season because I ship them so hard. I started watching this anime early January and finished it this month. And my obsession with it has definitely grown. This anime is definitely dark, violent and creepy but I LOVE IT! It’s just such a smart and intriguing series which poses a lot of questions on morality and justice. It’s about a super smart high school student called Light Yagami, who one day finds a Death Note lying on the ground, dropped by a Shinigami (or God of Death). Write any name in the Death Note while picturing the face of that person, and they will die. So Light starts using this Death Note as a way to rid the world of criminals. Soon the police is on the case and they are working with a genius young detective called L in order to catch the person responsible for all these mysterious deaths. Did I say I was obessed with this story? Because after finishing the anime I immediately started binge-watching the drama (it’s available for free on Crunchyroll) and I LOVED IT! Its a bit different from the anime in a few small and a few big ways, but I did really enjoy it overall. I liked that they gave Light a slightly different backstory to humanize him more, there is a bigger focus on the Light/L friendship/connection, Misa has a bigger role and I even liked what they did to Mikami. I was not a fan of what they did with the characters of Near and Mello though. Also, L is a bit different from the anime. They cut down on his quirks (the sitting, the sweets, the shoes) A LOT and made him just a bit more arrogant instead of socially awkward and aloof. But overall I still loved this so much and I kind of already want to rewatch. And now for something completely different! The Royals is a drama about a fictional British Royal family, starring Elizabeth Hurley as the Queen. I’ve watched most of Season 1 this month and I’ll definitely keep watching. It’s such a great mix of drama and humor and is just super addictive. Definitely a fun series to escape reality for a bit! I did keep up with the latest episodes on a few other shows, such as Shadowhunters (love this season, but especially Simon, Alec, Magnus and Raphael), The Flash (love the addition of Julian to the team) and Arrow (Eh. This show has definitely gone downhill in my opinion). 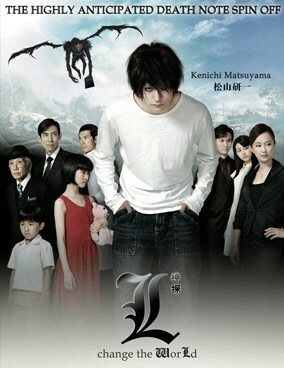 L Change The World is a sort of Death Note spin-off movie focusing on the character of L. This is definitely a movie to watch if you are fan of the character of L and want more of him (which I am and I do). 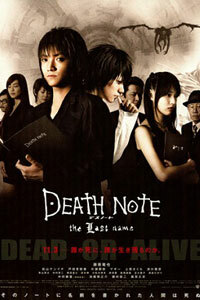 This has almost nothing to do anymore with the story of Death Note, so it’s not a real must for Death Note fans though. I liked the movie, but it did miss a bit of the magic of the Death Note story. Didn’t mean I didn’t cry my eyes out at the end though. I used to be a huge Nicholas Sparks fan. I got all of his books and watched all of his movies. And I still love them… but I wasn’t super into The Choice. It was a fun and sweet movie that stayed pretty true to the book, but it wasn’t super memorable either. Maybe I’m just a little over my Nicholas Sparks love? 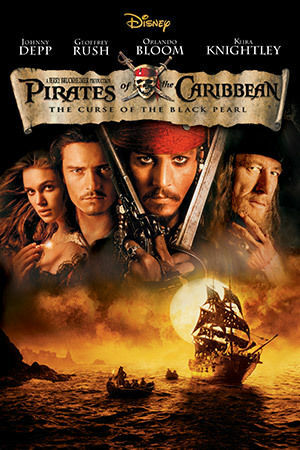 In anticipation of the new Pirates movie coming out this year, I started a rewatch of the previous movies, starting with the first one. I was actually surprised by how much of this movie I had already forgotten, so I’m glad I chose to rewatch it. I still love this so much though now I’m only more eager to watch the new movie! I continued my job hunt with no luck so far. I met up with a former colleague and had a lot of fun catching up. I’m back to regular dance classes after I had to skip a lot of classes in January due to family obligations. Dancing’s definitely a big part of my life and something that just keeps me happy so I’m happy I’m back at it! I got tickets to see Sleeping With Sirens and Good Charlotte in June this year and I AM SO EXCITED! I love your wrap up posts so much ?? 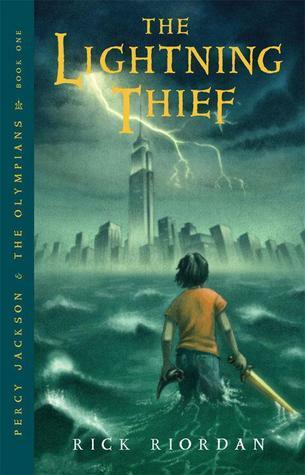 Percy Jackson is such a good series to reread. I REALLY need to reread them again myself. I hope you enjoy HoO!! Sorry that Caraval fell a bit short for you! I feel like if I wasn’t so swept away in the world I would have been a bit disappointed too. Sooooooo much good music. I love State Champs, As It Is, You Me At Six and Tonight Alive! I wasn’t the biggest fan of TA’s or YMAS’ new albums, but I love all their older stuff. Also, haha, I have a bit of personal grudge against The Vamps but finding music that makes you happy is the best ♥ Also yay for seeing SWS and GC!! I saw SWS live quite a few years ago and it was really good so I can only imagine that they’ve gotten even better. Congrats on your 8 year anniversary too ?? Ah, I'm so happy I finally did my Percy Jackson re-read and I can't wait to dive into Heroes of Olympus! 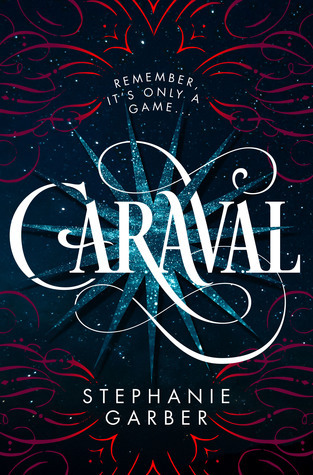 I just need to finish A Conjuring of Light first and I'm not ready for it to end so I'm making the book last as long as possible... Caraval was definitely mixed for me, because the worldbuilding and plot was indeed so magical and whimsical and amazing. OMG SO MANY FABULOUS BOOKS! You’re reminding me that I need to reread the Percy Jackson series as well – I miss Percy’s sass and all the wonderful characters. And By Your Side was definitely a cute, quick read as well. Thanks for sharing and, as always, fabulous recap! I haven’t still read Percy Jackson… LIKE WHAT AM I DOING? Congrats on the anniversary, and yay candy! BUT I AM SO PROUD I MADE YOU INTO A DEATH NOTE FAN I RAISED YOU WELL. 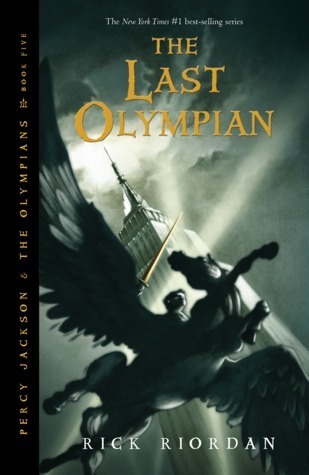 OMG, Percy Jackson is definitely worth the read! I hope you’ll get to it soon 🙂 And YAY, THANKS SO MUCH FOR THE DEATH NOTE REC, IT WAS THE BEST EVER! Also, very happy to see you are watching The Royals, I am OBSESSED with that show, it’s just SO good! Oh, definitely read Tell Me Three Things, Marie! It’s so cute and lovely and I hope you’ll love it 🙂 Haha, yes, dessert should definitely be celebrated and be a part of every single day 😉 I’M SO HAPPY you love The Royals too! I randomly watched the first episode and got hooked. I’m still on season one but I’m so planning on binge-watching all seasons now 🙂 I really love Eleanor, she’s amazing! I don’t know why I’ve never really done anime or Japanese mythology? I really need to give them a try! You know the problem with your review for Kings Cage? Now I need to read it… But in order to do that I need to do Red Queen and Glass Sword again… Red Queen is okay, but can I reread Glass Sword? I’m not sure. Maybe I just dive into King’s Cage without giving it the appropriate re-read – how much could I have forgotten??? What do you think? Song of Achilles looks amazing. I’m adding to my TBR IMMEDIATELY. Happy 8 years! That’s AWESOME! Sorry to hear about the job hunt still being a dud. I hope that changes for you this month! I only really got into anime a few months ago and now I’m obsessed and desperately trying to catch up to the lifetime of anime I’ve missed 🙂 But Japanese mythology is really interesting, I wish there was so much more of it out there! Song of Achilles is sooo good, I hope you’ll enjoy it! LINDSEY! Did you see on Xpresso Book Tours that there is a tour/blitz for the 3rd book in the Red Winter trilogy? Also all three are available to request for review??? I thought of you IMMEDIATELY! Although that may be where you got them from!!! Looks like a great reading month! Also looks like your good outweighed your bad which is always a good thing 🙂 Happy anniversary !! Hope you have a wonderful March! Haha, yes it’s definitely nice to weigh the good versus the bad as it usually makes you realize it’s not so bad 🙂 Thanks so much! All the best for March! Yes, the Red Winter series is soo good, I love them so much! 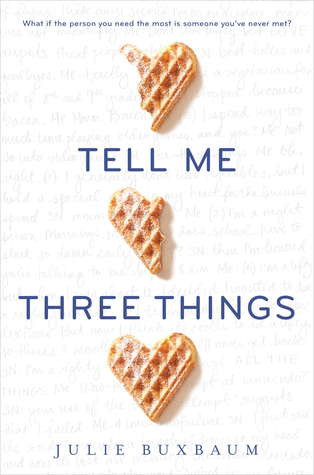 I’m super curious for the third book and cover as well, I haven’t seen it yet but I think it should be available end of March, beginning of April. Thanks so much for the anime recommendation! I can’t get enough anime right now, so I’ll definitely be checking it out! Wishing you a happy March as well! Dessert is like one of the most important parts of LIFE so I think you’ve got your priorities in order.? And yay for Death Note!! I read all the mangas last year and I seriously need to actually sit down and watch an anime for once. I keep telling myself I have to try it! And I looove Pirates of the Caribbean. I know so many people are rolling their eyes at ANOTHER ONE coming out but omg I can’t wait.? And yay for liking Caraval!! I’ve hard it’s not quite as good as the hype says, but I’m still glad you mostly liked it! 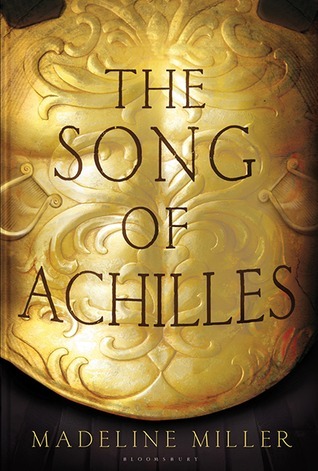 This also reminds me how much I need to read Song Of Achilles…. *tries not to be buried alive by TBR* ? Ahh, Death Note is sooo good! I’m hoping to read the mangas soon but they’re pretty expensive so I’m trying to rein myself in a bit for now. But I LOVED the anime and would love to compare it to the manga. I LOVED Red Winter and I didn’t realize that the next book was out. I definitely need to go get that right now!! 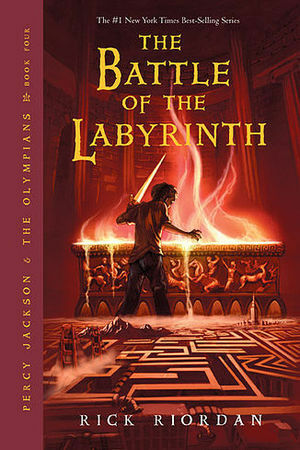 Wonderful wrap-up post Lindsey <33 Oh now I so gotta re-read Percy Jackson!! Percabeth <33 And you have had some all-time favourites this month! I'm buddy reading The Song of Achilles and really scared for my characters!! Also, Belated Happy anniversary <3 *have some cake* 🙂 Good luck with the job hunting and have a great March!! Congrats on the anniversary! 🙂 Oh and kitsune! I’m so curious about that one and you aren’t the only one to rave about it. I so need o start that one. 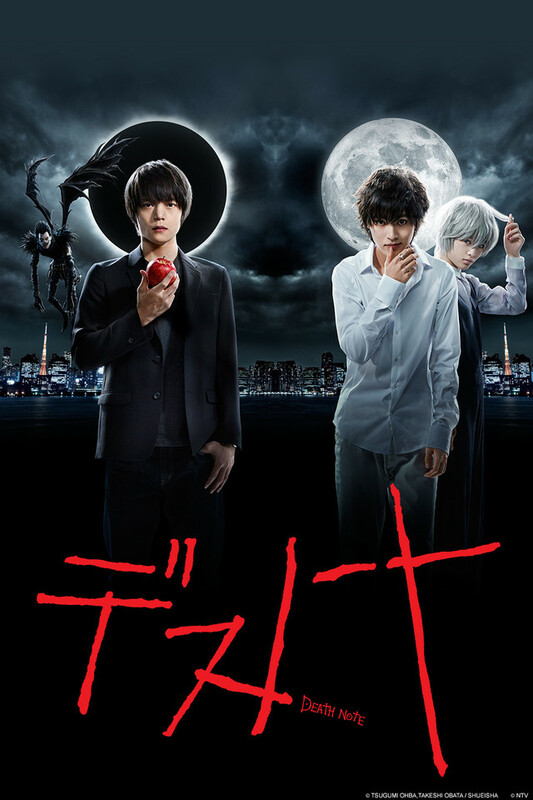 I’m also curious about Death Note the drama. I never got into the anime. Thank you 🙂 Oh, I’d highly recommend Red Winter, it’s such a great fantasy <3 I did really love the Death Note drame. It has a few changes from the anime so maybe you'd still love it even if you couldn't get into the anime. YES! I was addicted to Death Note. I don’t always like the live-action versions of anime, but I thought that one was pretty well done. YAY another Death Note fan 🙂 I haven’t seen that many other anime live-action adaptations yet, but I did really enjoy The Death Note ones.